Arsenal midfielder Jack Wilshere looks likely to leave the North London based outfit this summer. Wilshere has had no shortage of interest and should he fancy some time on the Turkish Mediterranean coast Antalyaspor would be happy to take him on. Antalyaspor president Ali Safak Ozturk has confirmed making an enquiry for Wilshere and entering talks. Ozturk did state that Wilshere’s transfer fee is a concern and that it would be a difficult move to pull off. “We made an enquiry and are in talks but Arsenal want a lot for Wilshere,” Ozturk was quoted as saying by Turkish-Football. The Gunners reportedly value Wilshere as being worth £20 million according to the Telegraph. Per the source, Newcastle United, West Ham and Swansea are all interested in the England international. Wishere would be teaming up with Samuel Eto’o and former Tottenham man Sandro if he were to make the move. 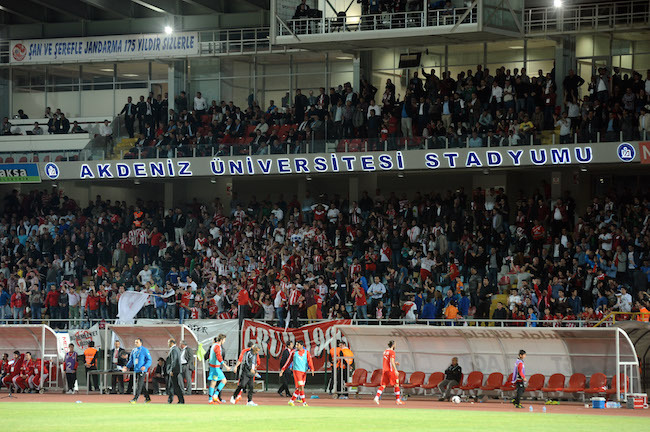 Antalyaspor are an ambitious club with wealthy backers. The club are targeting a finish in the top-four next season and have had a busy summer signing Jean-Armel Drole, Jeremy Menez and Maicon. The Scorpions only just missed out on booking a European competition spot last season, finishing the league in 5th place.